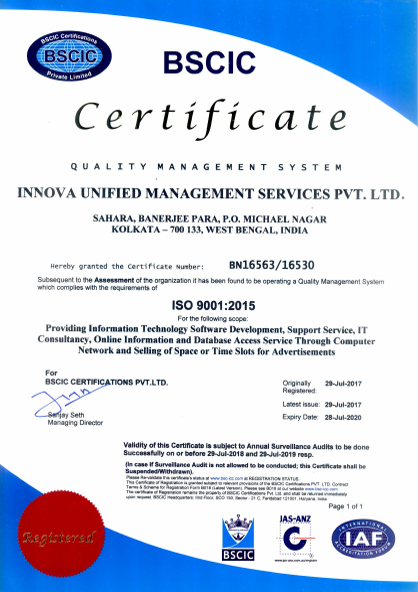 Business Intelligence | Innova Unified Managemnet Services Pvt. 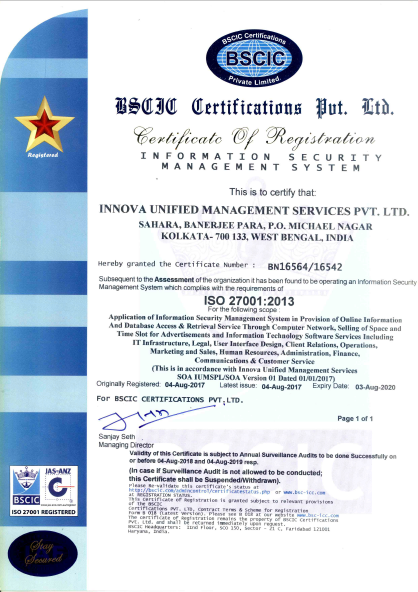 Ltd.
Innova, with an aim to become a frontrunner in providing business intelligence assists firms to know, extract, manage and scrutinise data to make critical decisions. Our business intelligence consultants effectuate industry knowledge and technical acumen to render robust business solutions. Featuring graphic visualization, data discovery and DIY self-service dashboards, our services enable businesses to accomplish Information Democracy. Our complete business intelligence solution utilises industry-proven methods, ace project management and collaborative approach to present you with high-end business intelligence services and support. Talk to us for major business queries and we can help you with our customised, yet ready-to-go framework that can be deployed in weeks. We can engineer your position amongst your competitors as the best and the smartest enterprise. Empower your business with smarter technology, smarter use of data and IOT to drive innovation. We bring you deep product expertise gained through multiple successful BI implementations. Our specialists use proven agile methodologies that assist in installing and integrating any open source business intelligence platform. Generate large volumes of interactive reports and dashboards that offer end-users the ability to interact with data both outside and inside their organisation. Interactive and dynamic dashboards create unique insights to aid you present performance figures in real-time. Compute customer trends through data analyses, respond to demands in the market and enhance business outcome. Get end-to-end assistance right from strategy and planning to implementation and testing. Total project visibility from the very first day via phone, email, Skype, permitting constant communication. Cost-effective projects, designed to match your business objectives, timeline. Efficient delivery Competitive project quotes. Dedicated resource. Satisfied clientele.